Nayna Taneja of AVM Juhu makes us proud! 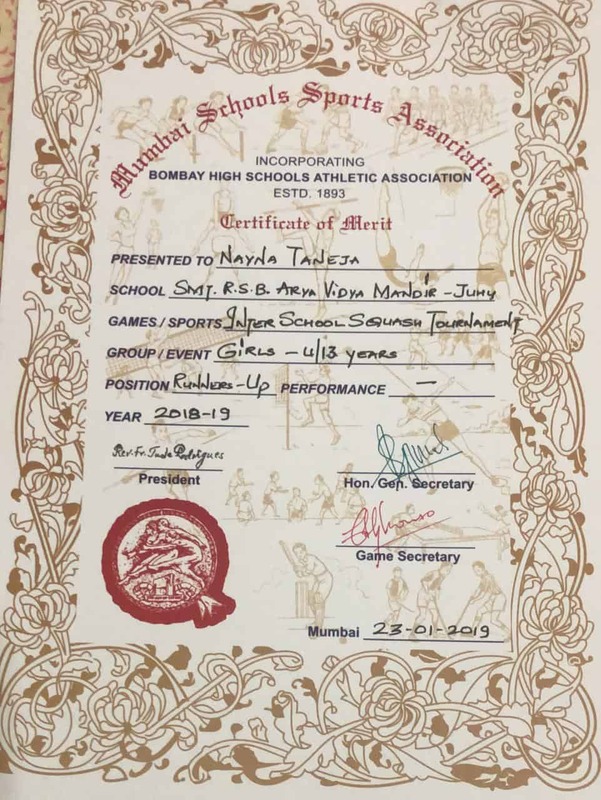 Ms.Nayna Taneja of Std VII A won a Silver Medal at the MSSA Squash tournament in the girls U/13 category, held on 28th January, 2019 at the CCI club, Mumbai. 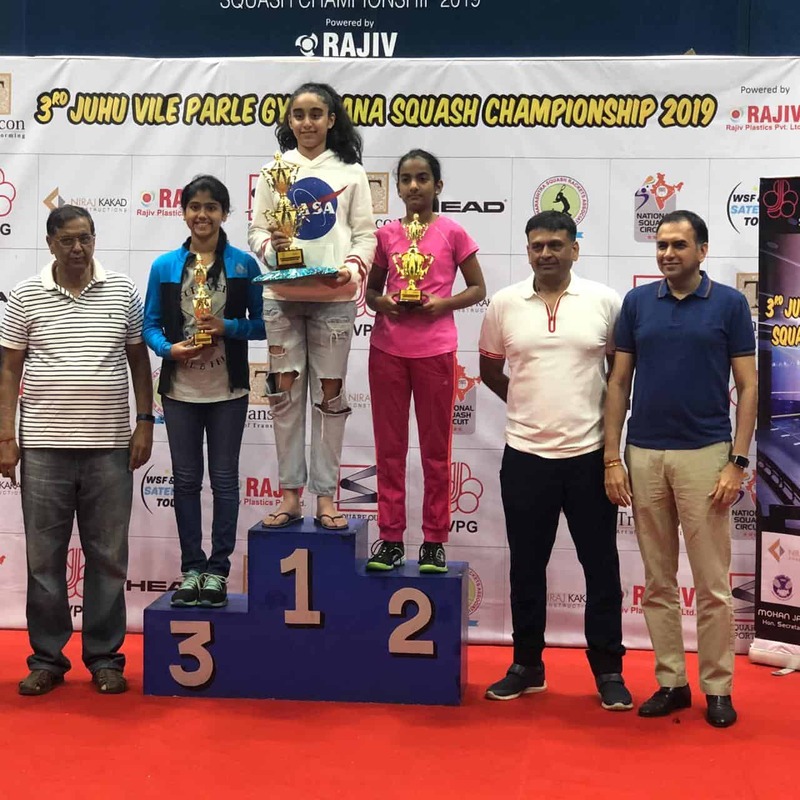 She also won a Bronze Medal in the U/13 category at the 3rd Juhu Vile Parle Gymkhana Squash Championship, 2019 at the Glass court, Mumbai.